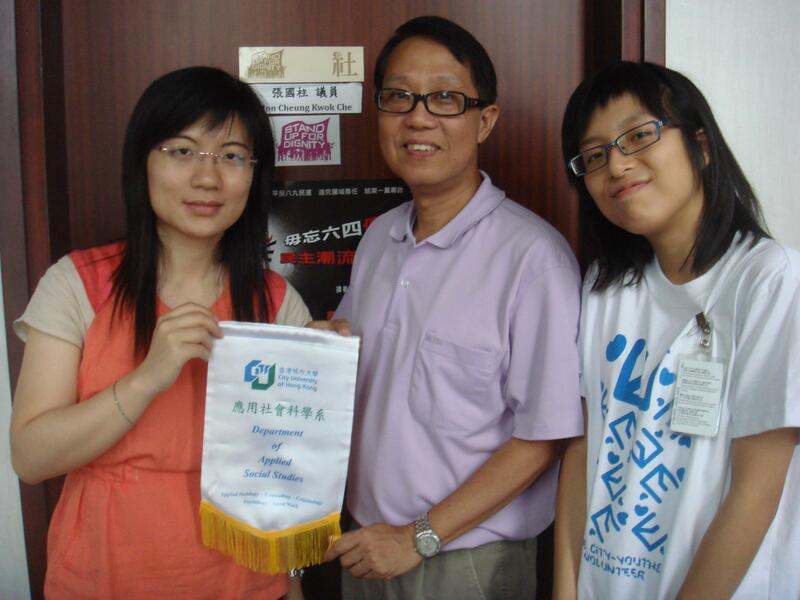 One of City-Youth Empowerment Project’s initiatives is to mobilize and organize students from City University of Hong Kong to contribute to our neighboring communities. 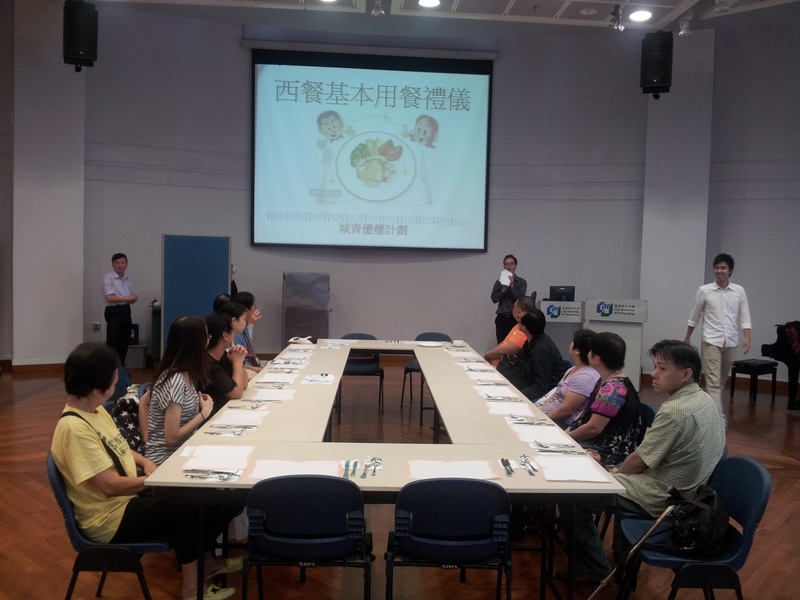 Our project collaborates with the Alliance of Ex-mentally Ill of Hong Kong, a consumer-based advocacy organization located in Nam Shan Estate, an immediate neighbor of City University of Hong Kong. Recognizing the importance of socialization and social support on the path of recovery, the pilot workshop featured social etiquette and social activities that acted as the platform to enhance socialization skills for a group of mental health consumers who are in recovery. 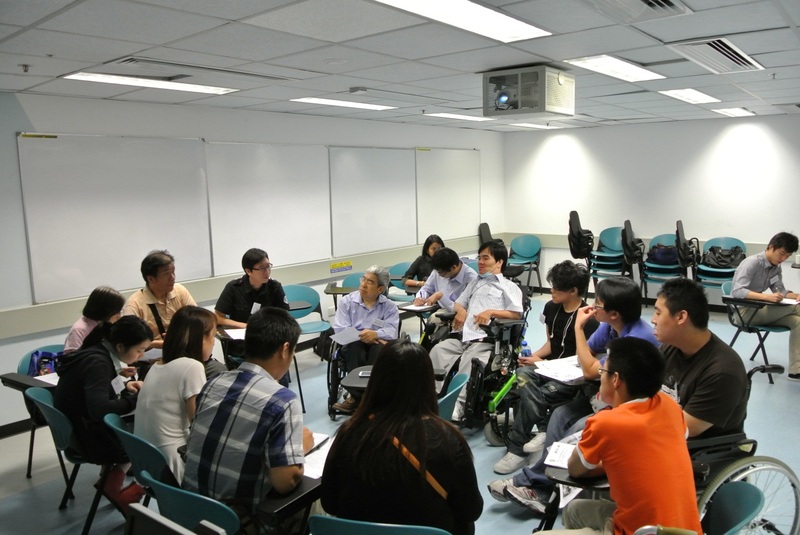 The workshop topics were all planned by the four volunteers involved - Lam Wai Hung, Ng Lok Wun, and Ho Ching Chi Maria Assunta from Department of Applied Social Studies, and Tsui Po Hang from Department of Biology and Chemistry. The recent government policy to providePublic Transport Fare Concession for the Elderly and Eligible Persons with Disabilitieshas sparked much public attention – unbeknownst to the public is the 10-year advocacy journey behind this policy breakthrough, fighting for the rights of people with disabilities. The Alliance of Public Transport Concessionary Fare for the Disabled (殘疾人士爭取交通優惠聯席), a grass-rootadvocacy alliance formed by over 40 community-based organizations, individuals and groups affected by disabilities, community supporters, and social activists - has been an avid advocate of this social movement. City-Youth Empowerment Project feels exceptionally honored to be able to help contribute to the alliance’s publication through interviewing and writing about key individuals who have played an important role in this social movement. This has provided staff and volunteers of our project a valuable opportunity to learn about social advocacy, disabilities rights, and community empowerment. 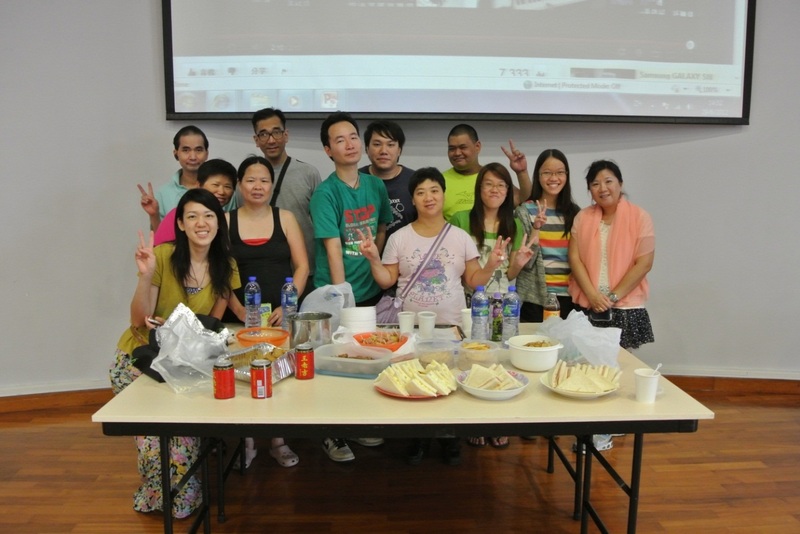 Empowerment Project organized a two-day environmental camp for a group of newly-arrival youth from Mainland China. 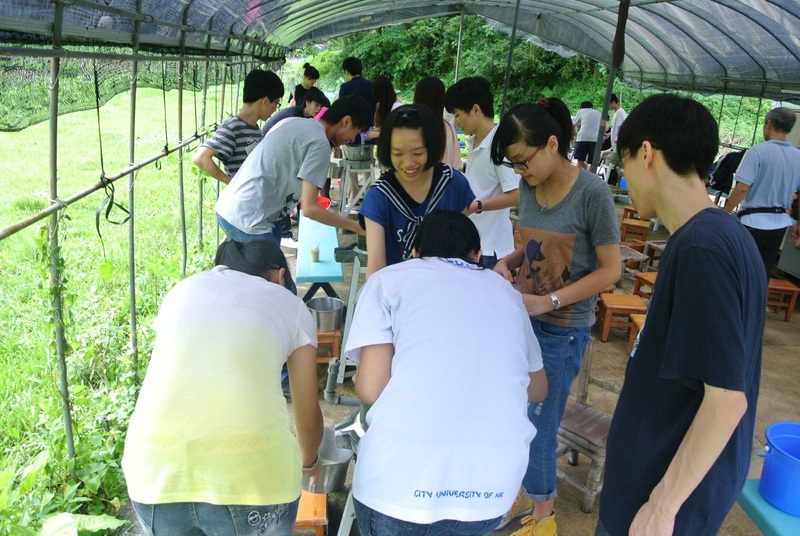 The camp became a platform for the youth participants to learn about environmental issues in Hong Kong. As part of the green lifestyle education, they learned to make soya milk and bread at a local farm, and they also constructed their own recycled paper on which to make art on. 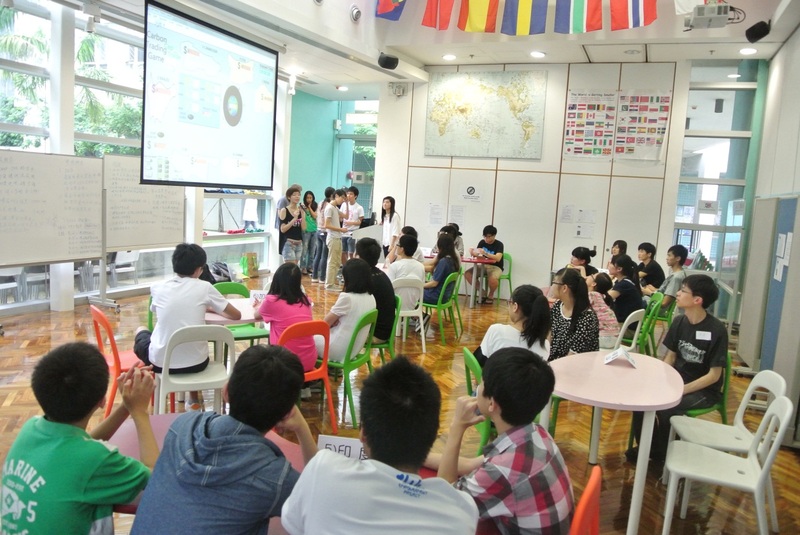 Thanks to the support from Tenghoi Conservation Organization and Green Connections of City University of Hong Kong, the participants were introduced to the Carbon Trading Game which helped them as well as our volunteers to gain a better understanding of global resources distribution. In the workshop, our volunteers also played the role as mentors to the service recipients, with whom they have built a trusting relationship. 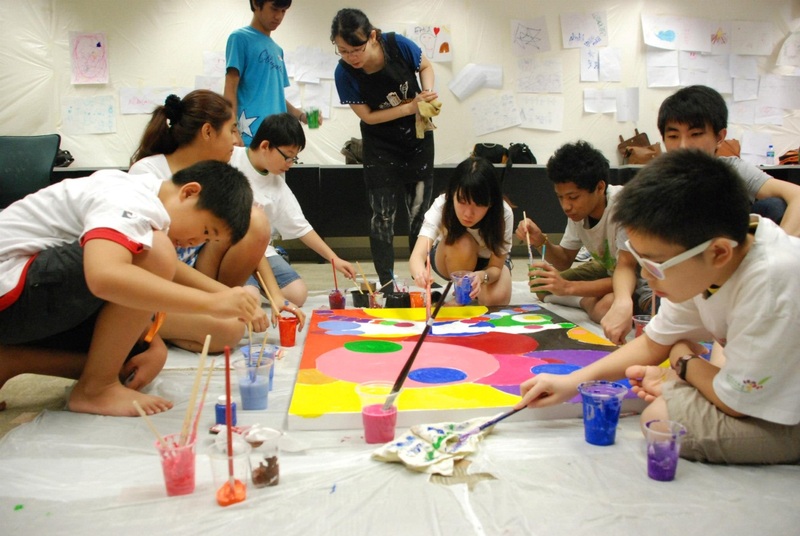 A creative art session with environmental protection as the focus was planned as the “wrap-up” of the workshop, in which the youth participants also opened up to express their feelings around the challenges and adjustments they are facing with starting a new life in Hong Kong. An international volunteer trip to Cambodia was organized by the City-Youth Empowerment Project this summer for the volunteers to explore more and challenge themselves. 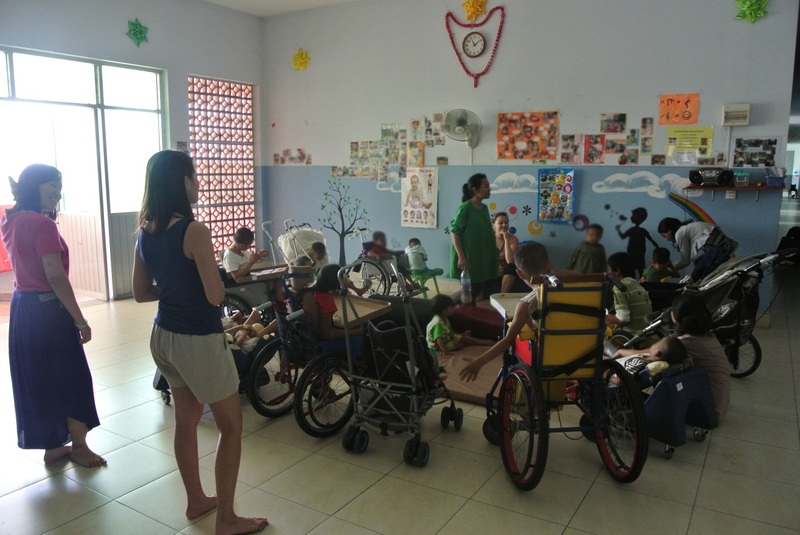 2 staffs and 9 volunteers went to a state-run orphanage, National Borey for Infants and Children, in Phnom Penh, Cambodia to work with a group of severely-disabled children with the local staff and other international volunteers. 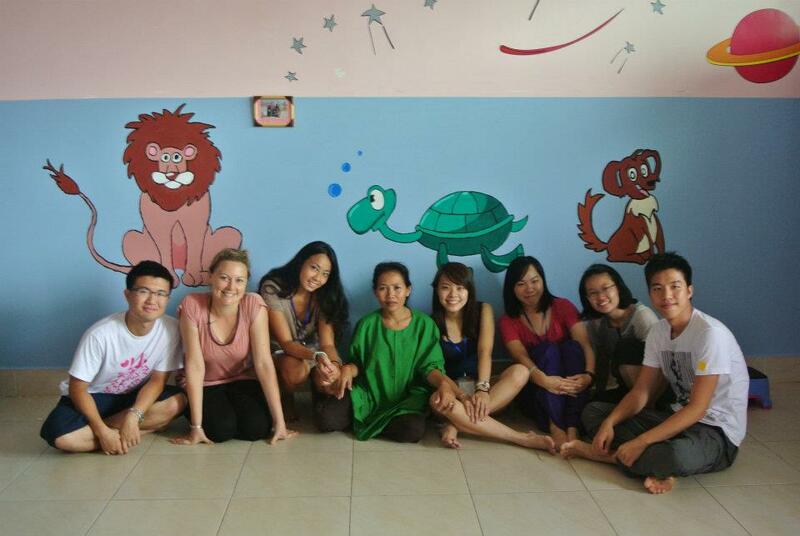 It was the first time for most of our volunteers to work with severely-disabled children. Although some volunteers worried at first, they soon found their own niche and acclimated to the required tasks. During our trip, the World Health Organization released a virus alert, about an unknown virus that was associated with young children. Although it caused panic for us at first, half of our group chose to stay and continue to work with the children with increased precautionary measures, determined to honor the commitment they had made to the service and the relationship they had already built with the children and the local staff. 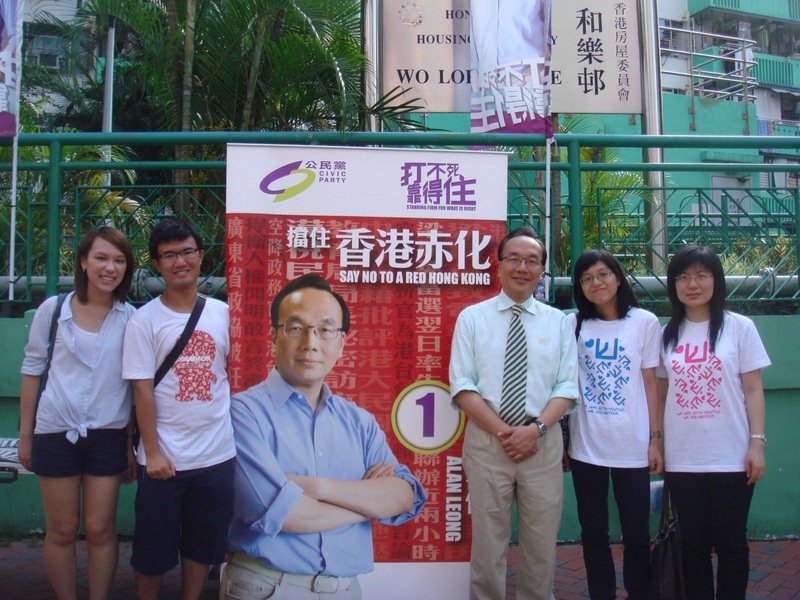 Within these two weeks, the group had experienced many issues that we may not face in Hong Kong. Apart from getting out of their comfort zone – they have also gained more insights about volunteerism, children in poverty in Cambodia, and the impact of public policy. Most of our volunteers reflected that because of this experience, they are prompted to think more about the relationship between the environment of the society and individuals. Based on the belief that music and arts encourage creativity, self-consciousness, and non-verbal expression between human beings - City-Youth Empowerment Project organized a Community Creative Arts and Music Workshop. For the first time, we combined two partner organizations in the same activity, a group of children with special education needs from Hong Kong Boys’ and Girls’ Club Association Jockey Club Tai Wai Integrated Youth Service Centre and a group of ethnic-minority youth from Hong Kong Christian Service Kwun Tong Happy Teens Club, together with our volunteers. 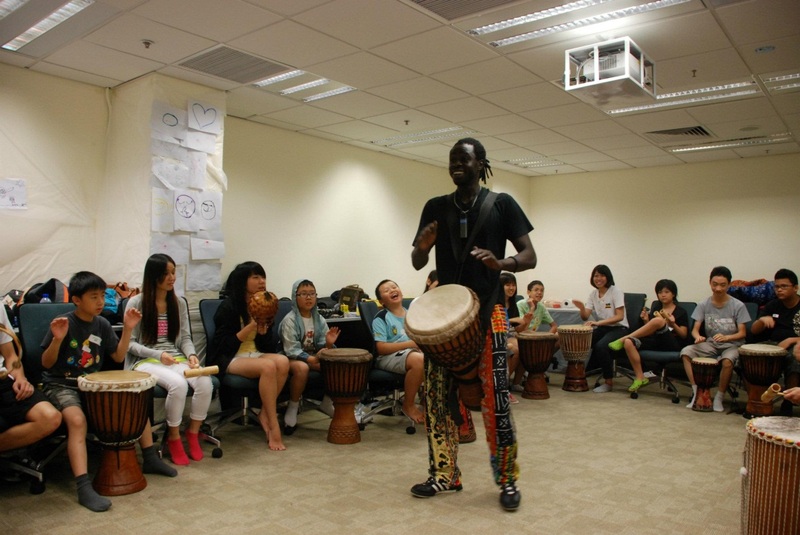 The workshop featured Africa drumming and circle-painting, aiming to connect kids and youth from different backgrounds and communities – and through the process of rhythm, dancing, and painting, to enhance their self-expressiveness.